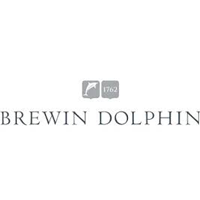 Brewin Dolphin Holdings Plc (LON:BRW) announced that its subsidiary, Brewin Dolphin Limited, has signed an Agreement with Avaloq UK Limited (“Avaloq”) to replace its core custody and settlement system. This follows the Group’s results presentation in November 2018 where it announced its intention to replace the current system. The contract is for an initial 10-year term and covers installation, ongoing support and maintenance. This contract forms part of an overall programme with costs estimated at circa £35m, which will be amortised over 10 years. The implementation of Avaloq software will significantly enhance Brewin Dolphin’s technology infrastructure and is a key component of the strategic investment that the Group is making to enrich its services and client proposition. Avaloq is a pre-eminent provider of core software and digital technology to banks and wealth managers. Its robust and scalable software is used by around 160 wealth managers and banks globally to manage CHF 4 trillion in assets.